Super Bowl Sunday! Is the FA going to start a thread today? It's a good thing that my wife is here making sure I'm still breathing. It seemed like a good morning to let the fire go out so I could clean out the ashes. I'm out of oven cleaner so I couldn't clean the glass. I had a hell of a time getting a new fire going again. Mama told me that she has to go out today, I didn't even leave the house yesterday. We got more snow on Saturday night, more snow means the plow will leave another big hump at the end of the driveway. Big enough that my truck was scraping when I went to get firewood. I tried to trim it down with my digging shovel when I got back. Pretty easy digging, not frozen solid. There is an area of ice that froze on the street, I made the mistake of wanting to attack the hump from the street side. A couple of steps and I was (wham!) flat on my back! I'm just hoping nobody saw me! I'm alright, I didn't hit my head! I may feel some of the effects tomorrow. Anyway, this is why Mama has to go out. 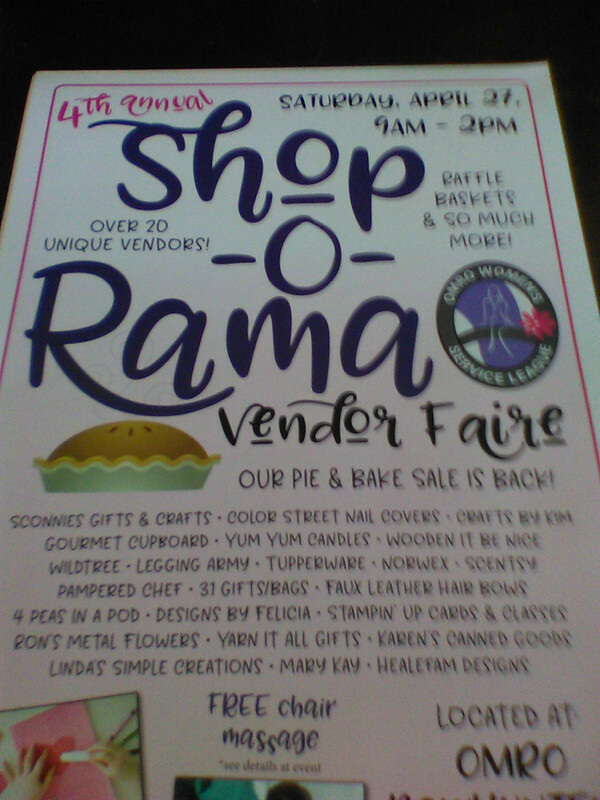 She's dropping off these posters at different businesses around the area to promote their summer market thingy. YOUR WELCOME, DEAR! Oh! She made me cut some pieces of pegboard for her too! I'm still the alpha male! ...Oh! She made me cut some pieces of pegboard for her too! I'm still the alpha male! Now hold on a minute! 'Alpha Male', you believe? Was the pegboard corrugated, so you could simply try out a muscle or two, but basically rip it apart? If not, did you have real scissors, or green plastic ones? *I* used to fall for that one for quite some time until one of the pups asked for her scissors back on her way to 1st grade (yeaaaaaa....I thought I was the 'muscle in the house' for YEARS). Just your standard pegboard cut with a circular saw. I can't seem to find my chalkline, I had to use my 2 foot level for a straight line. I had a craving to hear this old song...It reminds me of when I was 15 years old, cruising around in my own 1960 Chris-Craft with a 283 engine. I would pick up my buddies for an evening of 'beer drinking and hell raising'. Sheesh! I think we were still playing 8 track tapes, way back then. If you don't have good audio on your device, too bad so sad. With the Escape channel and ION TV playing nothing but reruns I landed on the Start TV channel. I don't even know the name of the show. The program did play a song that is a blast from the past. It's the late 70s and you are young and dumb and full of---Well, you know! I loved Hall & Oats. They could rock it out too! ...I'm thinkin' I need more coffee as I'm sorta feeling like Johnny Trashed and I haven't had a beer in 2 days! I even have a 40 ouncer over in the other room I haven't opened and never put in the fridge, yet I feel like I had 3 of them...what is SO BAD is that I really understand this cut right now and even think I could sing along, but for no good reason other than just to hurt at 2:59 PM on 3/26/2019. Did I mention I don't like this song? I find it extraordinarily self-centered and selfish from every perceivable angle? The final verse is the sealing stamp and proof that he never got 'the message'. That's a great song, Paw. Never liked that song, either, Pa. Despite what so many say, I don't think it fits him at all. It's a terrible all-in-it-for-himself whiner's song and I think at the end of the day, it fit him like a glove and ultimately sized him down.